A photograph taken by the Lunar Orbiter 3 in 1968 shows an interesting object at the edge of the Crater Manillius what appears to be a spacecraft. The spacecraft shows many similarities with the space shuttle. Compared to the diameter of the crater which is 35 km. the estimated length of the UFO is about 11 Km. 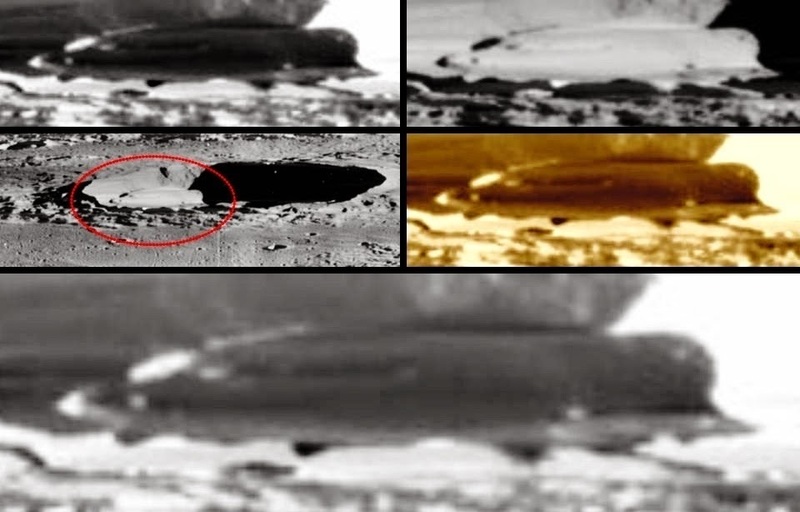 This is a large secret man-made spacecraft or extraterrestrial spacecraft sitting on the edge of the crater in 1968?